With the back-to-school season in full swing, we thought we’d give you some ideas to put you “back in the classroom” as part of your future travel plans. Take a trip and learn something new or revisit a passion you may have put on the backburner while everyday life put your focus elsewhere. You can learn to fly fish or stand up paddle; create the perfect soufflé or draw, paint, and sketch; hone your BBQ skills or simply walk in the footsteps of noted history-makers to learn what they learned. Brew Your Own (BYO) is offering a BYO Boot Camp in Asheville, North Carolina scheduled for March 22-23, 2019. Registration is limited, so visit byo.com to sign up for this hands-on brewing experience that will feature brewing experts discussing a variety of topics which include how to choose your own brew barrels, recipe formulation, yeast techniques and troubleshooting. Class is in session each day from 8:30 to 6pm. Lodging is not included and fellow travelers not interested in participating in the boot camp can sign up for brewery tour options pre- and post-boot camp. Consider staying at the Scenic RV Park in Asheville while you attend this boot camp! 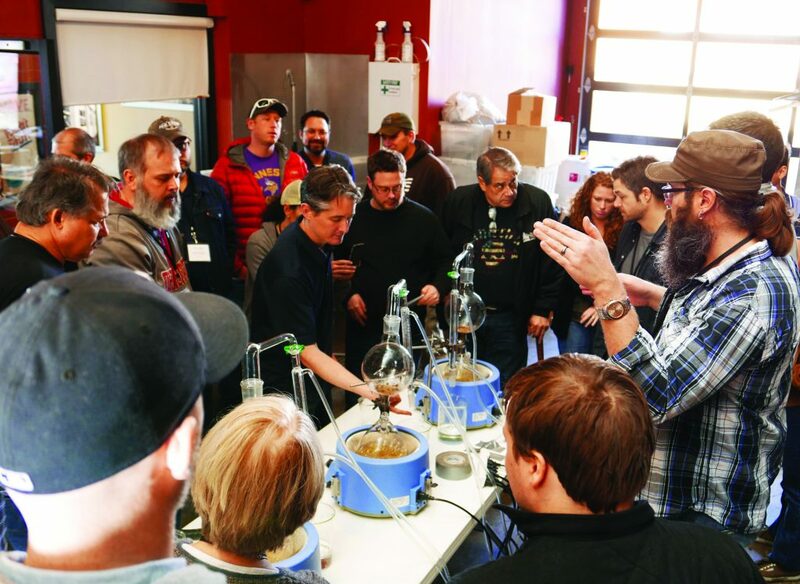 Moonshine University in Louisville, Kentucky offers a variety of workshops and courses all about distilling from introductory to advanced skill levels ranging. Workshops range from one-day options to five- and six-day full courses. The university’s goal is to “teach students more about what they don’t know,” as it gives them the framework to continually learn long after the workshop ends.” For information about the Moonshine University and their course offerings visit moonshineunversity.com. Take advantage of the “campus surroundings” and visit the nearby Kentucky Bourbon Trail, which features over 10 distilleries where you can sip the product and get some insight into the distillery process of such famous makers as Jim Beam and Wild Turkey. Diamond Caverns RV Campground is just about an hour’s drive to Louisville. Clay Smith of Corsair Artisan Distillery teaches 6-Day Distiller Course students about table-top gin making. Photo by Phil Icsman, courtesy of Moonshine University. The Napa Valley Wine Academy offers courses as simple as an introductory class that teaches a beginner how to identify aromas in wine to several diploma level courses all in a beautiful classroom setting. Whether you’re serious about a job in the wine industry or just someone who likes to have a bit more knowledge about what you’re drinking, take a look at the offering at napavalleywineacademy.com. If you opt for a course in the Napa Valley location, stay at Russian River RV Campground in Cloverdale. If you’ve always wanted to capture the beauty of nature through drawing or painting, take a look at the offerings from Happy Isles Art and Nature Center offered through the Yosemite Conservancy. Every April through October, classes are offered to all skill levels Mondays through Saturdays. Courses have included Drawing Yosemite with Ink, Yosemite’s Wonders in Watercolor, and Nature Drawing for Beginners. Registration is $20 per person plus supplies. (Registration is limited to 15 persons per class.) For more information visit yosemiteconservancy.org. Of course, you can’t beat the convenience of nearby Yosemite Lakes RV Campground as your home base while you enjoy these classes. The Steel Yard, in Providence, Rhode Island offers a unique array of classes that include blacksmith, welding, ceramics, and jewelry. One course, “Forge Your Own Bottle Opener,” is a one-day workshop for beginner blacksmiths. There is also a weekend welding workshop and a two-day organic jewelry course. Steel Yard courses are offered three seasons of the year, so if you missed something this year, come on back next year. For information and course offerings and schedules visit thesteelyard.org. Gateway to Cape Cod RV Campground and Sturbridge RV Campground are both about an hour’s drive from The Steel Yard. If you search hard enough you can find a class on just about anything related to cooking and baking, so, we’ve highlighted some classes we think you’ll find exciting. 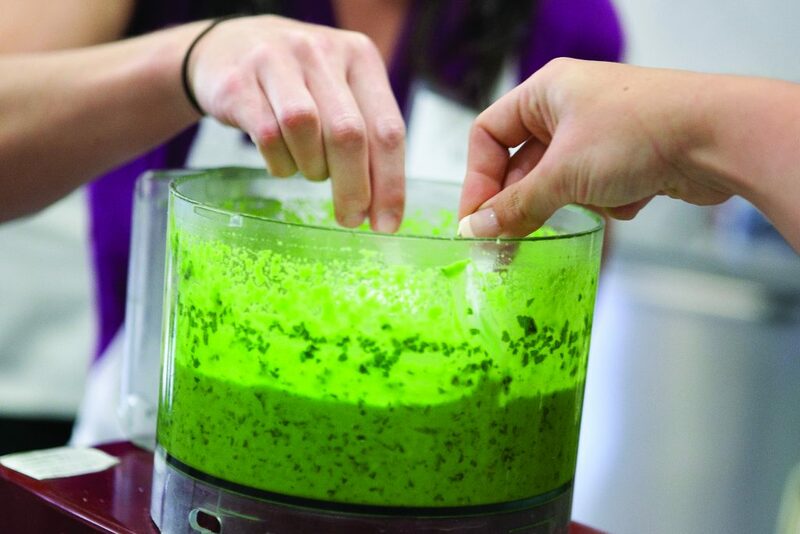 The Culinary Institute of America (CIA) offers Culinary Boot Camps at all of their locations. Boot Camp schedules can range from 2, 3, 4, and 5-day camps and all offer cooking and baking instruction. Some of them offer basic instructions on cooking and baking while others are more specific like Italian Cuisine Boot Camp or Hors d’oeuvres Boot Camp. CIA locations can be found in San Antonio, Hyde Park, New York, and St. Helena, California. For more information visit enthusiasts.ciachef.edu/boot-camps. The San Francisco Baking Institute offers one and two-day bread workshops where you can learn the art of bread-making in a variety of delicious forms including pretzels, bagels, baguettes, and egg and challah bread. And of course, sourdough bread, which is said to have been invented in San Francisco in the 1800s, is on the course schedule as well. Course information can be found at sfbi.com. The San Francisco RV Resort is just a 30-minute drive to the San Francisco Baking Institute. Check out Chicago’s Chopping Block, a recreational cooking school that offers a variety of boot camp style culinary courses. Past selections have included Pasta Boot Camp, Vegetarian Boot Camp, and the delicious Donut Boot Camp. Other options besides the boot camps include grilling classes and wine classes. For a peek into the basic science of cooking, they have the Cooking Lab. For course offerings and more information on the Chopping Block visit thechoppingblock.com. Pesto. Photo by Susan Ryan Photography, courtesy of The Chopping Block. 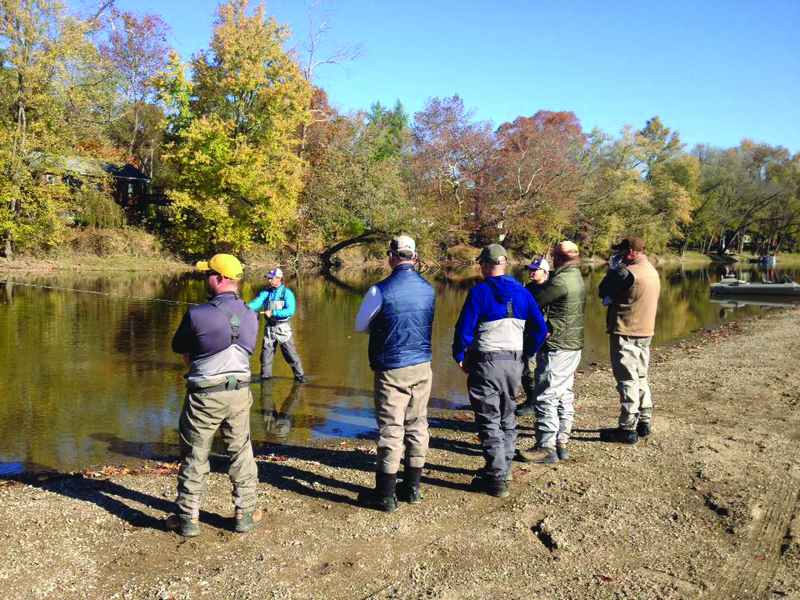 The Midwest Fly Fishing Schools have several locations in Ohio, including in Sandusky, Zanesfield, and Columbus. Skill levels range from Fly Fishing 101 on up to Advanced Fly Casting. There are also courses on knots and rigging and actual on-river sessions. So, “whoa” as the Fonz would say – visit the company’s website at midwestflyfishingschoools.com for school and course information. In San Diego, check out the Mission Beach Surfing School which offers both board rentals and private and semi-private SUP lessons (missionbeachsurfingschool.com). They also a variety of other water sports lessons including surfing, kitesurfing, and wakesurfing. If you’re looking to stand- up paddle in Lake Michigan while staying at Bear Cave RV Campground in Buchanan, Michigan head to nearby New Buffalo’s Third Coast Surf Shop which offers Stand-Up Paddleboarding 101 lessons for just $75 for a 90-minute lesson. All equipment needed for the lesson is included and if you’re camping with friends, group rates are lower but the classes never exceed 6 students per instructor. For information visit thirdcoastsurfshop.com. Photo courtesy of The Midwest Fly Fishing Schools. A little over an hour north of the Hidden Cove RV Campground in Arley, Alabama is the U.S. Space and Rocket Center and the opportunity to come as close to living out your dream of being an astronaut as you can without really committing to outer space travel. Located in Huntsville, Alabama, the Center offers a variety of space camps, including the Adult Space Academy where anyone over age 18 can spend three days “training” to be an astronaut, making and launching their own rocket and taking a simulated space mission. There’s even a graduation ceremony at the end of the session. Lodging is included so be sure to leave those with a more earth-oriented mindset back at camp. 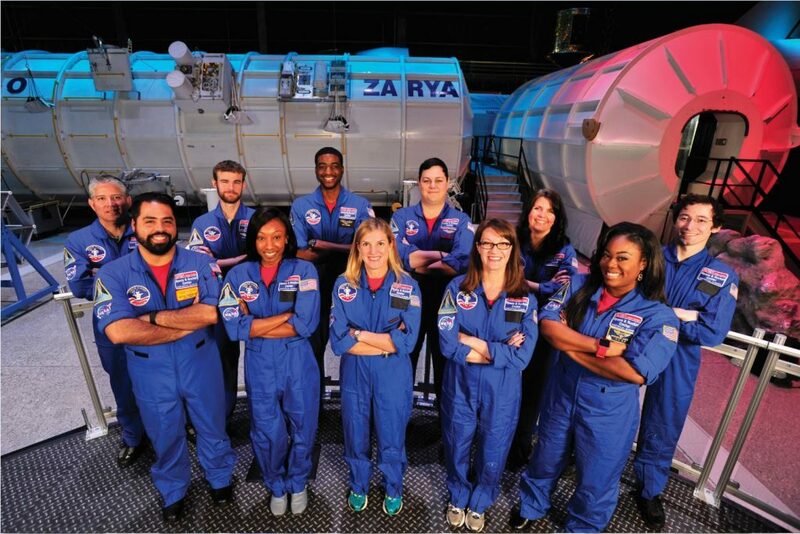 For more information on Adult Space Academy visit spacecamp.com. Timberline Mountain Guides offer several courses, both one-day and multi-day, to provide even the most inexperienced climber with the basic skills and knowledge to take on the sport of climbing. With course locations in both Oregon and Washington, you can do more than just admire the beautiful Cascades that stretch through both states. For information visit timberlinemtguides.com. Out on the east coast, the Acadia Mountain Guides Climbing School offers rock climbing instruction in full, half, or multi-day classes with Maine’s Acadia National Park serving as the onsite classroom. Learn to rappel, belay and climb New England’s rugged granite peaks. For information visit acadiamountainguides.com. Don’t forget, there is so much going on at our campgrounds that you may not even feel compelled to leave camp to learn something new. Our activities’ staff are always offering classes on their schedules that have a wide range of appeal that include line dancing. Square dancing, woodworking, jewelry-making, gardening, scrapbooking, pickleball, and all kinds of watersports. So, get out and camp and learn something new along the way. After all, the world is your classroom! Visit thousandtrails.com to start your next adventure. Feature image courtesy of Midwest Fly Fishing Schools.